Silent Victims: Hate Crimes Against Native Americans – …And the Truth Shall Set You Free. DEAFHOOD: Celebrate Indigenous Peoples Day! 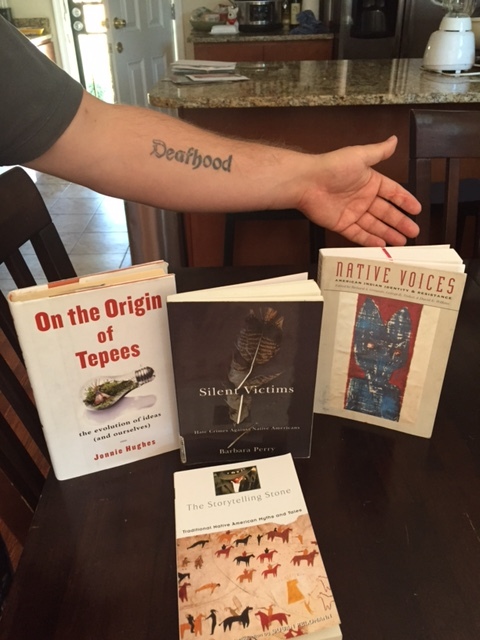 Yes, celebrate Indigenous Peoples Day with Deafhood, too! Time to celebrate Indigenous Peoples Day! No more Columbus Day! I am happy to inform that more cities are recognizing Native Americans today—the movement to change the holiday to celebrate the history and contributions of indigenous cultures around America. It is a huge deal. I had no idea that I have Cherokee blood until I was 33 and I begin to learn more about Native Americans now and then. I had no idea about Wounded Knee incident in South Dakota where one of the courses I signed up for requiring us to read one of many books called “Bury My Heart at Wounded Knee” written by Dee Brown really bury my heart. Hint: Did you know that there was a Deaf Native American in that book by the name of Black Coyote who “started” it all? Then after that, I started to read more Native Americans books–from political to cultural to history to hate crimes and so. 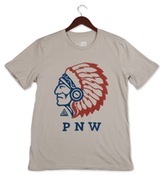 The picture you see above I bought in DC—I have more books stored inside a box in the great Pacific Northwest. As for hate crimes, it does happen—there is plenty of virulent hatred and bigotry toward Native Americans in this country—and feel that they only suffer from the challenges of poverty and neglect as well limited access to opportunities and it is not true. They are survivors of hateful assaults on given day now and then. I think diversity is racist in America. Why do I think it is racist? Because it presumes that the color of Native American or the surname of a Native American defining his or her thinking, that somehow he or she will bring something different to the intellectual table just because he/she looks Native American or his/her name looks Native American. Now I understand hate crimes more. Bat heard them, and he said, “Oh, no! I am one of you; I don’t belong to the bird people. Did you ever see one of those people who had double teeth? Go and look in their mouths and see if they have. If you find one bird with double teeth, you can say that I belong to the bird people. But I don’t; I am one of your own people.” They didn’t say anything more; they let Bat stay with them. Soon after, there are another battle; in that battle birds won. For additional links about Deaf Community: A Hidden Dimension of Racism Among Sports. Plenty of Deaf vloggers wearing Redskins to belittle Native Americans. One of them is a teacher.